If you are moving from the States, it is very likely that you are considering the logistics of bringing your car to Mexico. After all, having your own vehicle can make things a whole lot easier in terms of commuting, exploring, and just getting about. Of course, if it’s going to be a huge amount of trouble you may just be better selling your car before you move, and buying one in Mexico. Non-Mexican plated cars are drivable within the “Free Zone” (up to 22 miles/35 kilometers from the border), and cross the border without any further action on your part, but if you leave this area you will need a temporary vehicle import permit. Don’t worry about accidentally straying from the “Free Zone” as you will encounter guarded checkpoints on the road south; make sure you have your permit before you move southwards as you cannot buy one at checkpoints. In order to leave the “Free Zone,” you will need certain documents, including a temporary import permit. If you have a legal work permit you may bring in one car, so long as you own it and so long as you take it back with you when your visa expires. 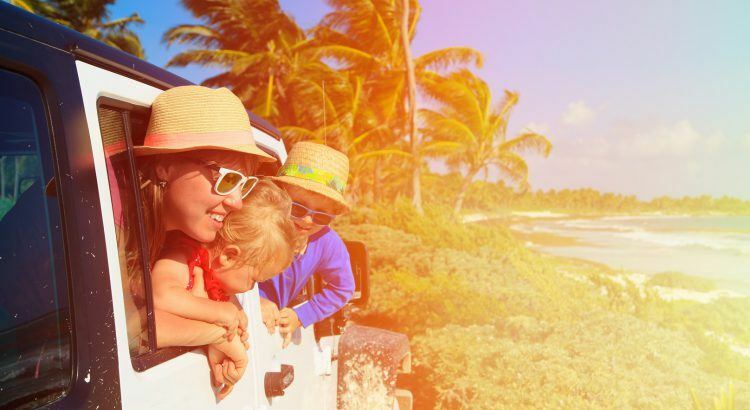 Tourists may bring one car even if they don’t own it, but must prove that they have permission to travel into Mexico with the vehicle (such as rental cars). As previously stated, each individual may bring one vehicle into the country with them, and so each adult member of a family may bring their own vehicle if they wish to. The one vehicle per person rule does have some exceptions, however; if you’re towing a car behind an RV both vehicles may be registered to one person. That individual must provide proof of ownership for both, and both vehicles must accompany you when you leave Mexico. Likewise, single passenger vehicles like ATVs and Motorcycles may be registered with the car towing them so long as proof of ownership is provided. A single car may tow up to three single person vehicles (one per passenger up to a limit of three), but all must leave the country in the same manner. A trailer will not be counted as a vehicle, but you will have to provide proof of ownership for it and ensure that it is taken from the country with the vehicle which towed it in. A temporary import permit lasts as long as your current visa, including extensions, and so may stay as long as you. If you already have a permanent resident visa, however, you will not be able to bring your vehicle into the country, but if you change your immigration status while your car is in Mexico with you this differs. In such cases you won’t need to apply for a new permit while your visa is current, but if you leave Mexico with your car you will be required to surrender your vehicle before you re-enter. We hope that this has made things a little more clear for you about Bringing your Car to Mexico. Bringing Foreign-Plated Cars Into Mexico Bringing your Car to Mexico Driving your car to Mexico How to Bring your Car into Mexico How to Import Your Car into Mexico Importing & Driving a Car in Mexico legalizing cars in mexico What do you need to take your car to Mexico?